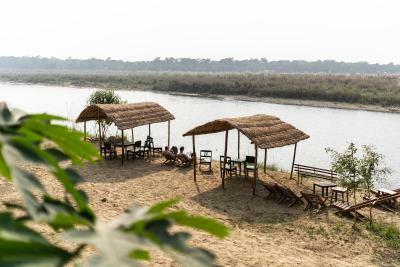 Lock in a great price for Jungle Wildlife Camp – rated 8.2 by recent guests! 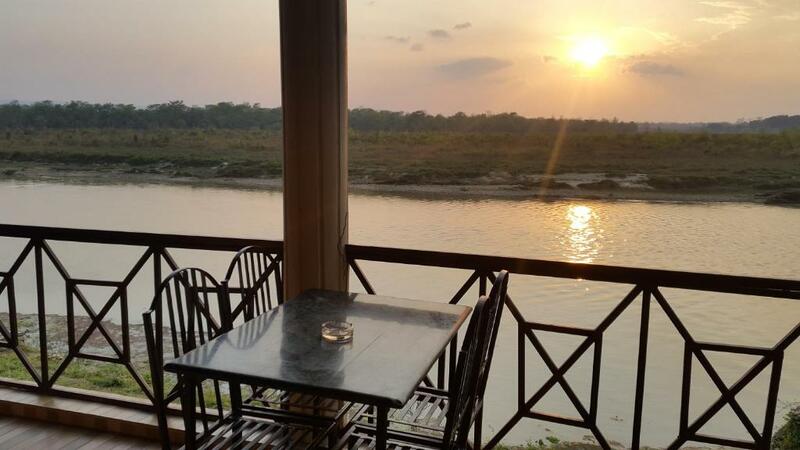 Perfect location by the the river and safari jungle.you can see sunset from the terrace. 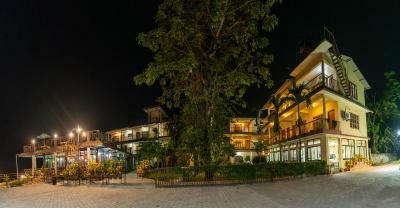 This hotel is located close to the Park, very close to the river. 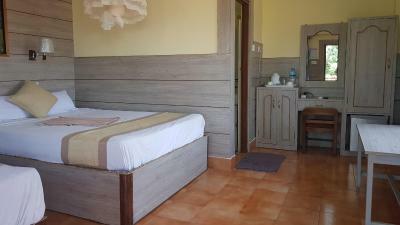 It offers clean (bath)rooms, a decent breakfast, mosquito nets and a wonderful terrace. The staff is very friendly and helpful. We spent 2 days in the Park with one of the guides of the hotel, a really cool experience. 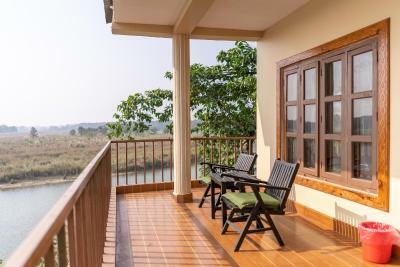 So this one doesn't have a pool, but who needs it anyway, when there's a National Park with rhinos and tigers nearby. Rupees well spent. 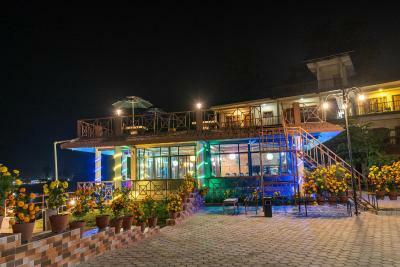 Excellent location .Homely atmosphere . Helpful staff . Clean rooms . Resonable food price .Owner Mr.Raj helped us a lot by booking Jungle Safari and returned vehicle to Birgunj. Highly satisfied. The guy who managed the restaurant was super kind & helpful & knowledge about the local creatures. He would make a great tour guide. The view from the restaurant was lovely. When it is not rainy season, I understand that wild creatures will sometimes come right up to the balcony area to graze. Really all the staff were lovely & helpful. The acting manager (who was taking over for his brother while his brother was away on business), was really nice about helping me contact an elephant rescue organization (Stand Up for Elephants) that did humane tourist elephant encounters, which we was the main reason we came to Chitwan in the first place. I especially appreciated his help given that a more short-sighted person might have misperceived Stand Up for Elephants as competing with his own business. The place has a really beautiful view of the river, unlike very few other places, plus since it was a low season they upgraded me to a nice room with an awesome view! all staff and team were very nice to me, helped organizing activities and listening to my needs. 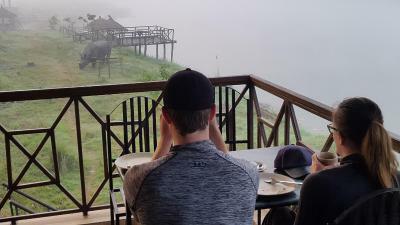 They have a team of local guides with expertise on finding the animals during safari , knowledge on local plants as well as genuine interest to Share it with you. We had an amazing stay! The staff are amazing and I definitely recommend taking the full day Jeep tour if you are only staying for one or two days. 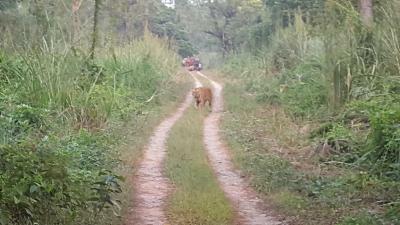 We were super lucky seeing; 21 Rhino, 1 of 2 wild elephants, lots of deer, and a Tiger!!! 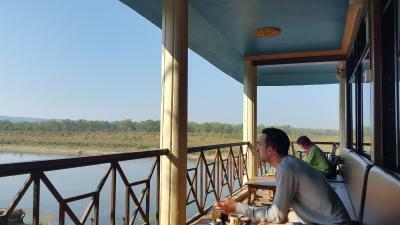 Nice trips into the Chitwan National Park and not riding elephants! Great guides both times we went in. 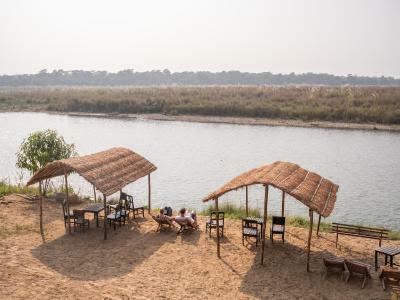 Jungle Wildlife Camp This rating is a reflection of how the property compares to the industry standard when it comes to price, facilities and services available. It's based on a self-evaluation by the property. Use this rating to help choose your stay! 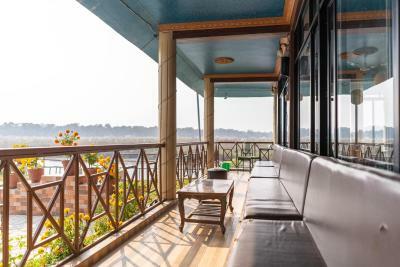 One of our top picks in Sauraha.A 15-minute walk from the lively Tandi Bazaar, Jungle Wildlife Camp offers cozy rooms with air conditioning and a TV. 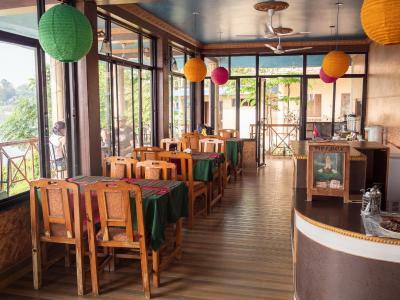 This property features a restaurant, massage services and free parking. 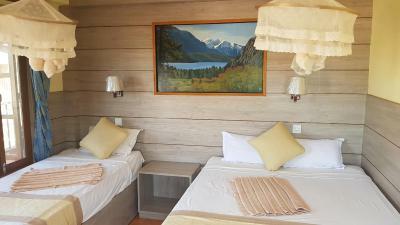 Rooms come with soothing wall colors and large windows that provide natural light. Each has a seating area, work desk and an attached bathroom. 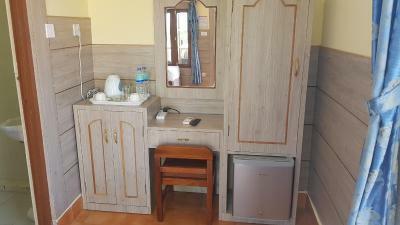 Shower facilities and toiletries are included. 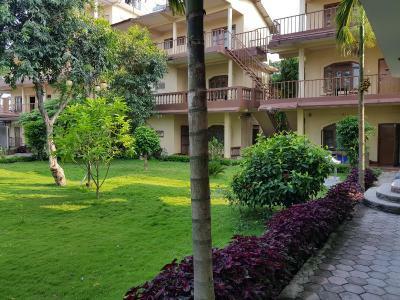 Guests can take a stroll in the garden and make ticketing as well as travel bookings at the tour desk. For convenience, laundry and ironing services are available upon request. 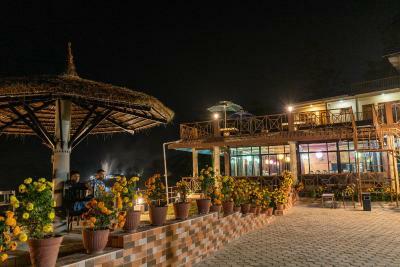 Overlooking the garden, the restaurant serves a variety of local and international dishes. Alternatively, in-room dining options are possible with 24-hour room service. 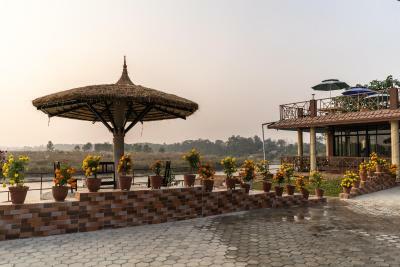 Wildlife Jungle Camp is 11 mi from Bharatpur Domestic Airport. It is 109 mi from Kathmandu ,89 mi from Pokhara and 86 mi far from Sunauli. 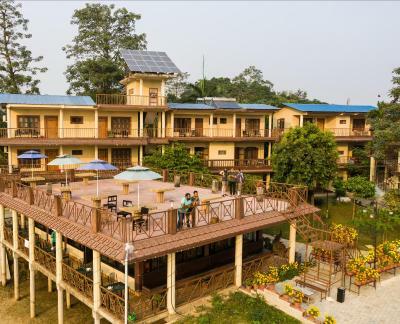 When would you like to stay at Jungle Wildlife Camp? 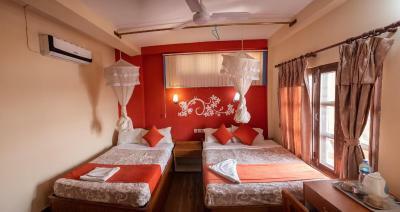 This air-conditioned room offers a TV, seating area and a private bathroom. Featuring more space and air conditioning, this room has a TV, seating area and private bathroom. 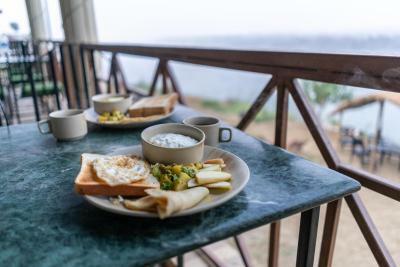 House Rules Jungle Wildlife Camp takes special requests – add in the next step! Jungle Wildlife Camp accepts these cards and reserves the right to temporarily hold an amount prior to arrival. Please inform Jungle Wildlife Camp of your expected arrival time in advance. You can use the Special Requests box when booking, or contact the property directly using the contact details in your confirmation. 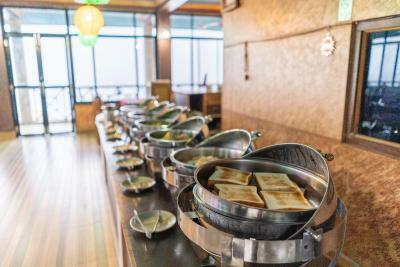 Selection of breakfast buffet is poor . I booked safari tour from the hotel ,seems sketchy with all commission . Booking bus to Lumbini they said is just 3 ,5 hours but it ended almost 5 hours . 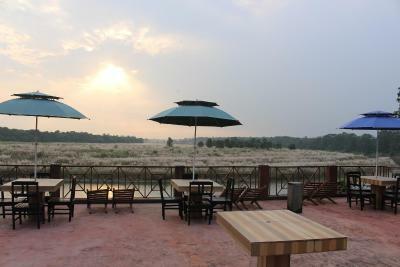 Jungle Wildlife Camp is situated right at the river Rapti. 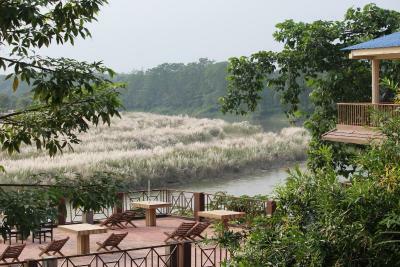 From the hotels terraces you have a magnificent view over to the other side of the river to Chitwan National Park. The river is the border. 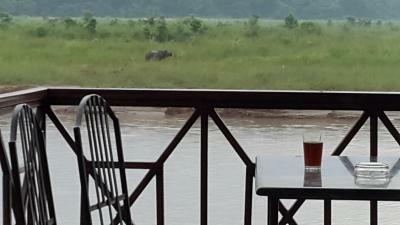 If you are lucky and have a good binocular, you may watch crocodiles, bisons and rhinos right from your terrace. A-C is working well and a must in this tropical climate. We booked a safari trip right at the hotel, and it was a magnificent experience, starting with a boat trip, a short walking, and a jeep tour through the jungle. 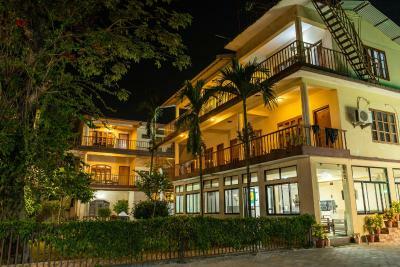 - Do not confuse the hotels name with other, almost similiar, names like Wildlife Camp or Jungle Camp. The fan in room was noisy. The staff were very helpful. They even came back to the bus station with my precious filter water bottle when I left it behind. The position was spectacular and the rooms were spacious. Beautiful views. Thankyou ! The mattress had springs sticking out so we had to sleep on top of the duvet. We ate at the restaurant twice and the food was poor and expensive. 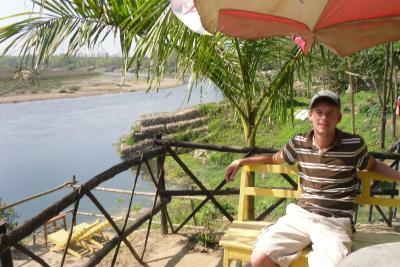 The location was exactly what we were looking for - peaceful spot along the riverside away from the main road. Room was fairly basic for the price, but was spacious with good air con. Staff in the restaurant were great and looked after us well - thank you! Dinner was horrible. Food in general was not good. Power supply to AC was turned off abruptly; we were here in summer, so this didn't made our stay comfortable. Google Maps direction was not accurate. Location was not good even though it was next to the river; one cannot access the river and there are no beach. 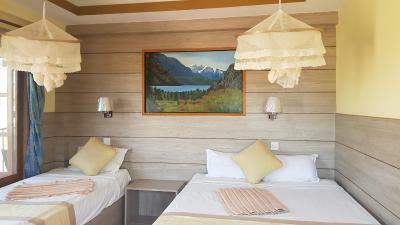 Pictures showed by the hotel on Booking are extremely enhanced ... rooms are not comfortable at all, coakroaches in room and bathroom. 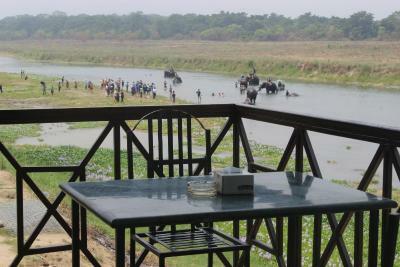 Located in front of the river but very far by feet from the main street and from the access to safaris. No safe storage for any luggage when going on a safari .. We visited another hotel on the main street : price divided by 3 and much cleaner and nice staff, and closer to activities. DEFINITELY NOT WORTH IT ! TOO EXPENSIVE given the rooms, the location, cleanliness, etc. 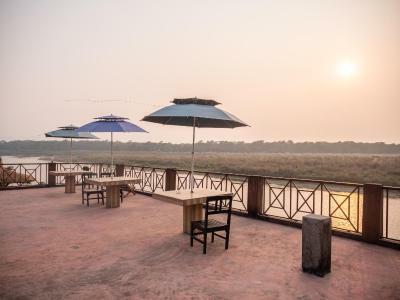 Jungle wildlife Camp has perhaps the best location in Sauraha, directly on the river bank with a stunning view of the jungle. 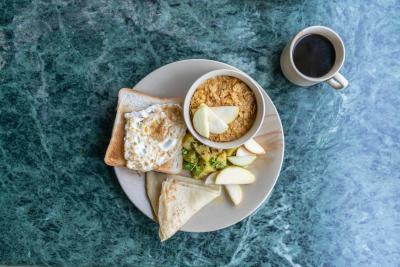 The staff is most welcoming and arranges everything to make you feel at home. 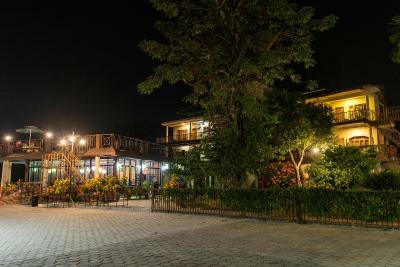 Lots of great spots to hang out and watch the sunset after a day in the jungle, with top-level food served at the in-house restaurant. Rooms were not cleaned daily. Location and homely service staff. Shower was not hot, that's my only real complaint. Beautiful location in the middle of the Jungle whit a wonderful sunset . Very friendly staff and good food. What a gem of a place. 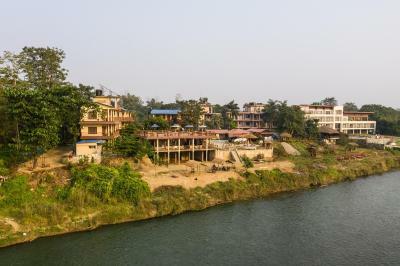 Location right on the river. Sounds of Peacocks everywhere. 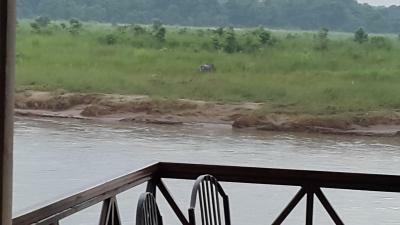 Even had a Rhino walk through the river and onto the bank outside the hotel. It is the perfect location! 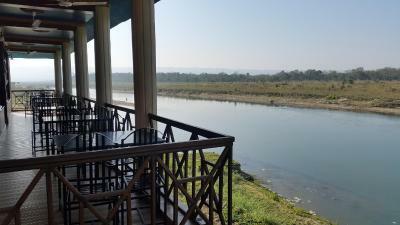 The camp was really well located on the river bank and the verandah outside our room had chairs and a small table allowing us to sit and relax whilst taking in the view. The staff were friendly and always helpful. 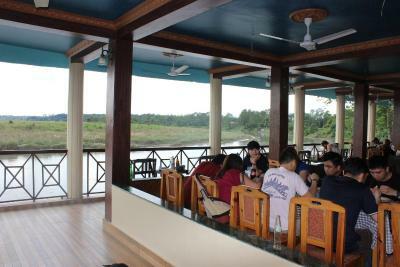 The restaurant provided a good simple menu that we enjoyed. 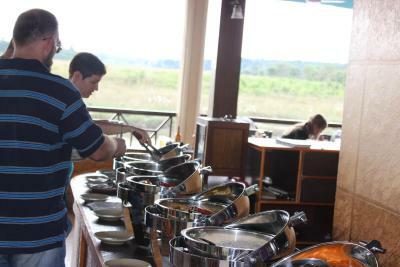 Breakfast was buffet style whilst we were there as there were a number of guests. 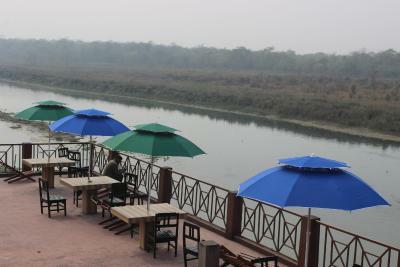 The restaurant has a lovely view across the river to Chitwan NP. 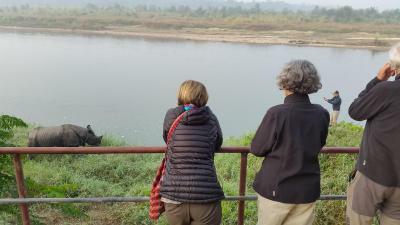 We were fortunate to see a rhinoceros in the grasses, a sloth bear come down to drink at the river and crocs sunning themselveswithout even leaving the accommodation... magic for us. The restaurant manager was incredibly cheerful and helpful and nothing was too much trouble. 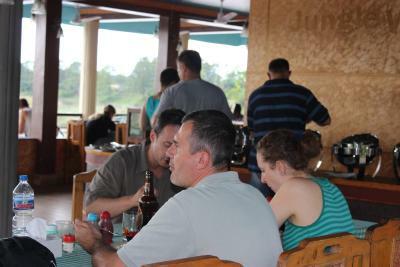 The staff also organised our safaris and bus tickets.. ever so helpful and with no glitches. Thank you. 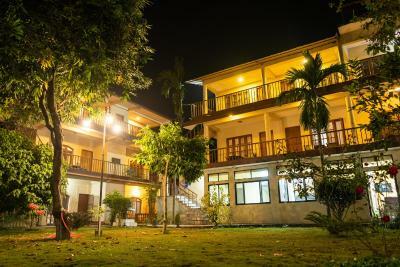 One of the best place to stay in Chitwan, the staff is so friendly, i can’t wait to be back and feel at home again !